My childhood wasn't the classic Utah upbringing. My mom was a working woman and so after my birth she headed back to work and found Margaret. Margaret was a young mom of a little baby girl, Madison, just a few months older than me. Margaret was my nanny. I spent everyday at her house. A home that was just on the edge of her family's farm. It was there I spent a good part of childhood running through the pasture, climbing trees and hay bails and playing from sun up to sun down. Those years I spent in Margaret's home are some of my very best memories. The Ferrin family quickly grew with more children, lots of little girls, 7 girls and 1 boy to be exact. Years past and my family moved away. Although my days were no longer spent with the Ferrins, Madison and I never stopped being best friends, Margaret never stopped being my second mom, and her family has always been my second family. Giving me the sisters I never had. Now, twenty some years later Madison's little sister Carolyn is getting married. 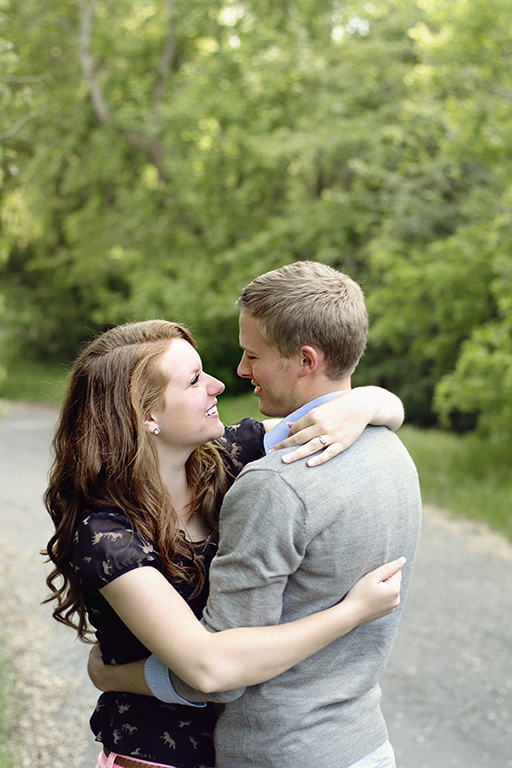 I was overjoyed when Carolyn called to ask me to take photos of her wedding and engagements. It was bittersweet seeing my cute little Carolyn all grown up and getting married. I couldn't be happier for her and Forest. She picked an amazing guy and he picked an equally wonderful girl. So, I stretched out of my comfort zone (babies and kids) and did my first couple session with these two.